If you are looking for the best Android Mobile, we suggest these terminals. At any price there are top terminals, and these are our best recommendations. 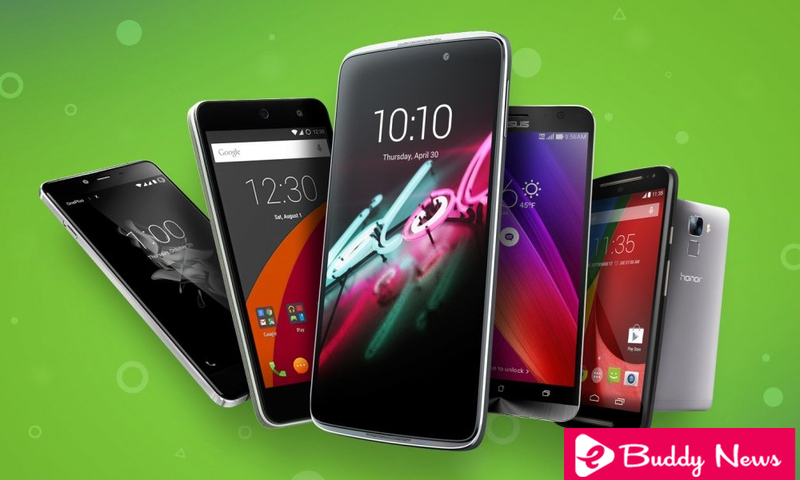 We review what is the best Android mobile you can buy. In this list we will not discriminate on prices, but we will choose the phones that in our opinion are the best terminals that you can buy today. They are safe bets with which you will guess for sure. Choosing a best android mobile phone is not an easy task with so many specifications and analyzes. Yes, it is possible to get it right, but sometimes the amount of options is so wide that it is difficult to choose the best option. In this list there are alternatives for all budgets, more or less. We have chosen mobile phones that we consider as options that you can choose almost blindly, ordered from highest to lowest price. There are very good mobiles in intermediate ranges, but here we consider it worthwhile to stretch your budget to the next option, or stay with the previous one. Despite having been presented at the end of last year, and having come with several errors, the Google Pixel 2 XL is crowned again as the mobile we recommend. After months of intensive testing of mobile phones that were better on paper, we have come to the conclusion that the software continues to play a key role in this mobile. It is one of the few phones that are already Updated to Android 9 Pie, and taking into account that Google is the only manufacturer on Android that offers three years of updates, you will receive before anyone else the Android Q and R versions of 2019 and 2020. We believe that already put to spend on a mobile, the longer it lasts the better. His hardware has been a little behind compared to the competition of 2018, but it is not a difference so crucial if we compare with the value offered by the software. And your camera still has a touch in the photographs that make them unique. The screen is still an aspect that seems to be below the competition, but it is good enough for you to get used to. Huawei understands perfectly what are the key pillars where to focus their efforts. Users value the performance on their mobile, but the camera, battery and memory should not be left behind either. The Huawei P20 Pro may not be one of the favorite Android phones due to Emui, a layer of customization that departs from the traditional Android experience in exchange for offering many features . In return, we have a spectacular camera, a battery capable of holding the toughest days and 128 GB of internal storage. It is impossible to extract negative aspects in the key points. Presented a couple of weeks ago and available to buy from today, the Samsung Galaxy Note 9 is the best Samsung phone ever created to date, and also the most expensive. A mobile that can boast of benefits, since it has the best screen on the market, the best cameras, and finally a battery to match the Galaxy Note. As a fundamental aspect has a stylus , which is now more complete than ever to have remote functions by Bluetooth. And if what worries you is having memory, beware of the more powerful version, which comes with 512 GB of internal storage! One Plus has positioned itself as one of the best brands for those in a mobile looking for performance to the fullest, those who do not mind losing water resistance or have a slightly lower camera. The OnePlus 6 follows that same premise. In terms of performance it is up to the best , and the Oxygen OS experience is super fluid. His camera, however, is a little below, but it is not that we can consider it a camera, much less. The same can be said of Xiaomi, a brand that with its Xiaomi Mi 8 has reached a level of excellence that really makes us wonder whether it is worth spending more than 500 euros for a mobile if at this price we can have such a good experience. It is in a situation very similar to OnePlus 6, which at the level of performance equals the most expensive mobiles in the market, noticing the difference in price in the camera, although it is not that it is precisely bad. In the end, deciding between OnePlus or Xiaomi in this price is based on the following question . What do you like more, pure Android or customization layers? And depending on that answer you can choose Xiaomi or OnePlus. Even cheaper is the Honor 10, another best android mobile that we liked a lot and even cheaper. The performance here is one step below the flagships of Xiaomi and OnePlus, but its price is also reasonably lower. It is a mobile that we like very much, although it has the same virtues and defects as the Huawei P20 Pro, and that is that the Android experience is very personalized by Huawei. If you like Emui or the customization layer does not matter, go ahead, it’s a pump in quality / price. Another brand BQ has a terminal that currently costs the same as the Honor 10, and that based on our experience is at the level. Even according to your preferences can be even a better mobile. It has a very powerful processor, a very good screen, stereo sound, is compact in size, a camera that is not bad, headphone jack, NFC, expansion by SD cards. Any feature that you can get to value in a mobile, is in the BQ Aquaris X2 Pro . In addition, it is in the Android One program, so Android and security updates are guaranteed for two years. Xiaomi has achieved its own merits to master the entry range, and its latest phones are the best android mobile we recommend if you want to have a good Android experience at the lowest possible price. Both the Xiaomi Mi A2 and the Mi A2 Lite have plenty of power for day to day (especially the Mi A2, which in terms of power is at the same level as the BQ Aquaris X2 Pro) although we consider that they are inferior due to deficiencies. In the case of the Mi A2 we do not have a headphone jack connection, nor do we have NFC to pay with the mobile phone or memory expansion by microSD card. The Mi A2 Lite on the other hand still has no NFC and its charging port is microUSB. If these shortcomings do not matter to you, the Mi A2 can be the best mobile phone in quality / price. The Mi A2 is the mobile you should buy if what you care about is a good Android experience with applications and games. On the other hand, the Mi A2 Lite is much cheaper, it is not so fast but the basic applications work phenomenally. And it has much more battery.